My biggest challenge isn’t finding time to sew. It’s finding time to take pictures, and then process and post them. These are presents for my one-year-old. I still need to take a picture of her baby quilt. Or mention her on this here blog. Well, at least that’s done. 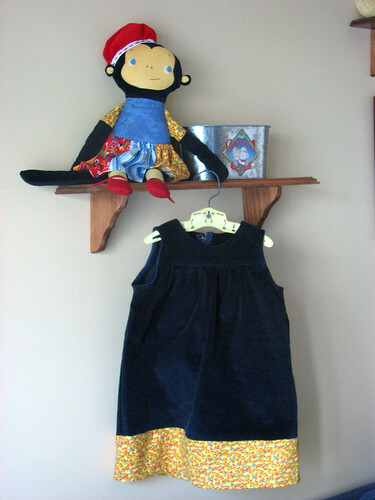 The jumper is Simplicity 5936 and the doll is Molly Monkey from mmmcrafts.